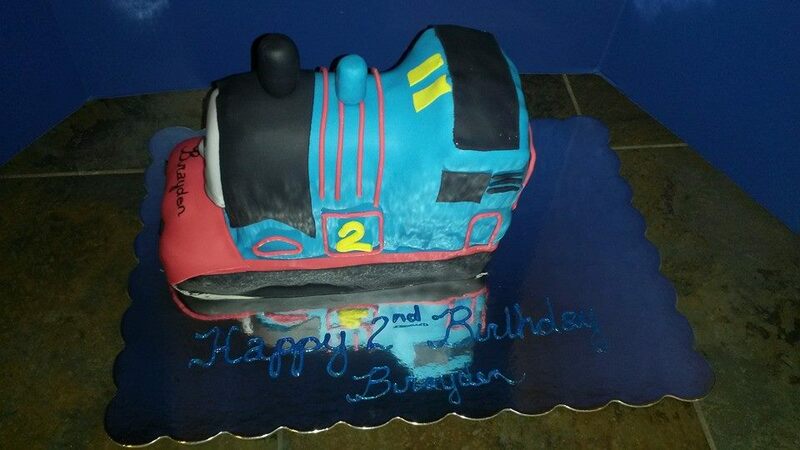 3D Thomas Train cake – frosted in buttercream and covered with fondant. 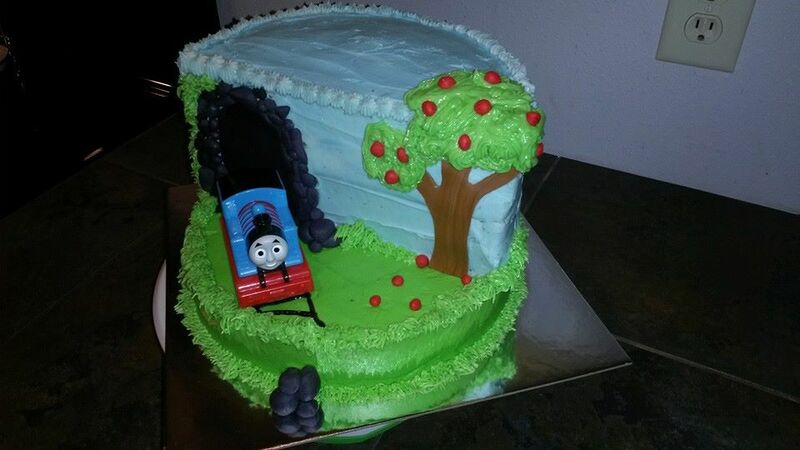 Thomas the Train cut-cake. 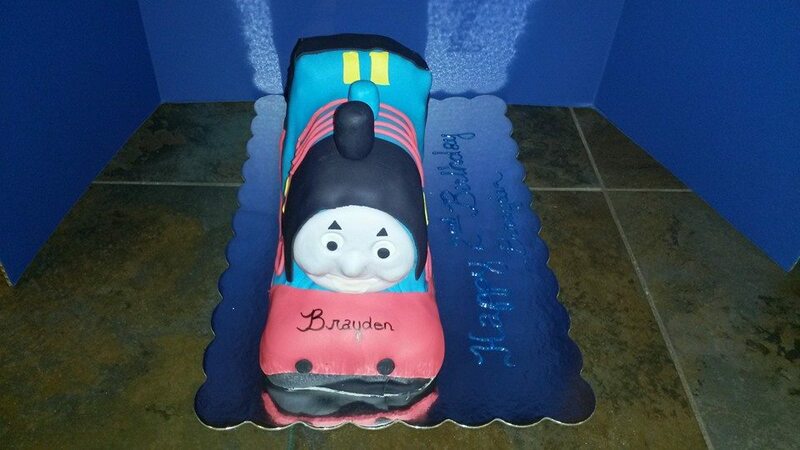 Frosted with buttercream, fondant rocks, and toy train.